I have been baking these choco chip cookies for 3 years and they have never failed me. I have made various versions of it – Basil Cookies, All Spice Cookies, Double Chocolate Cookies, Cranberry Cookies, Granola Cookies and they all tasted equally amazing. If you are looking for an easy, no fail recipe, then this is the one. I never got around to posting a basic recipe which I have adapted many times here on the blog. Rectifying that error and here it is. 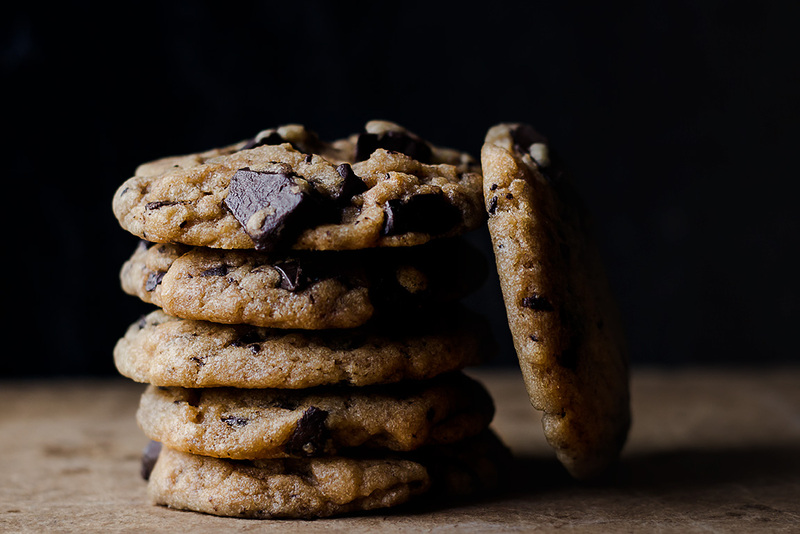 Everyday ingredients come together beautifully for making these cookies. Apart from the basic version, my favourite version is Basil in it. These just taste awesome. Must make recipe. 1. In a large bowl, whisk together all purpose flour, baking powder, baking soda and salt. Now add the chocolate chips to the dry ingredient mixture and gently toss to coat. You can even use white or dark or milk chocolate chips, I didn’t have them so I used chopped chocolate.